I thought I’d stick with the Welcome to Nightvale theme for one more post and tie knitting into tea time today. When I brew tea at work, I often want to drink the tea and to hold the warm mug in my hands. However, mugs cool quickly. How often have you drunk half a cup of tea to find the rest of it cold? Why not try and add a little extra warmth with the great insulator: wool. 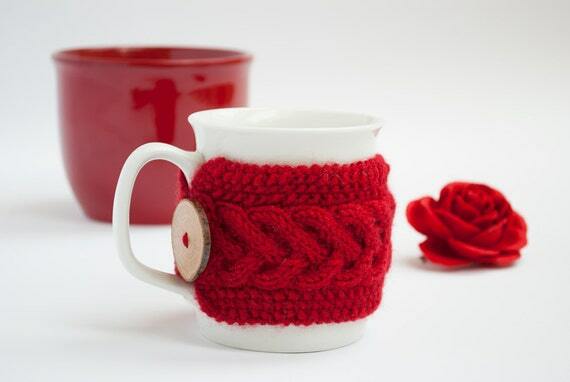 Mug cozies have been around for a while now. For those of us who are crafty there are any number of patterns to be used. 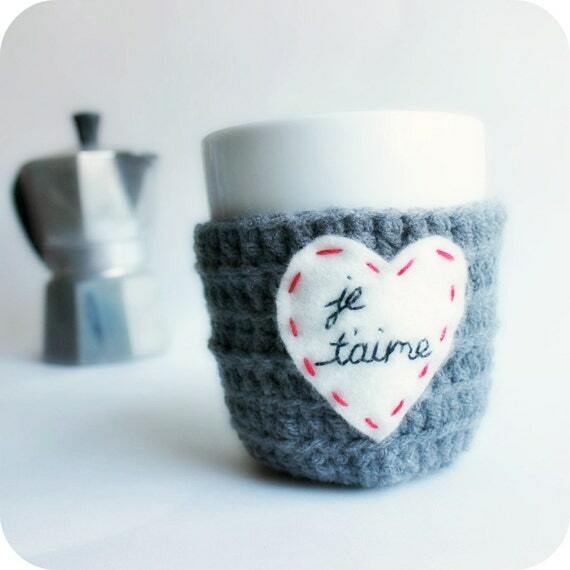 The great thing about mug cozies is that they are simple quick projects and can use leftover yarns. When you’re done, you’ve prettied up your mug and added some knitting to your tea time. Remember that swap I talked about on Ravelry in the last post? Well my assigned swap partner identified that she really liked tea. So I purchased a sample of tea from Adagio in flavors I thought she would like. Then I went and bought an inexpensive ceramic mug at Target. Then I set about knitting a mug cozy for her. 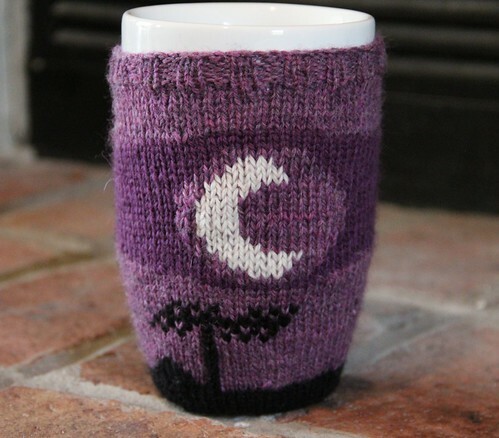 For the knitters in the crowd, I used the Mug Sock pattern by Debbie Haymark and modified it using a chart I found of the Welcome to Nightvale logo. I used Knitpicks Palette and a combination of stranded knitting and duplicate stitch. Further details about the project can be found on my project page on Ravelry. 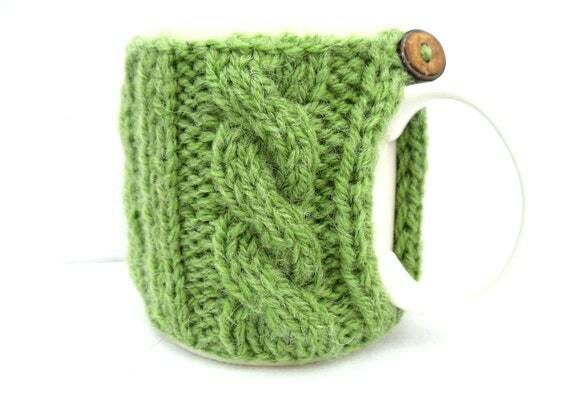 For those who would love a mug cozy but don’t knit, you’re in luck. A brief search on Etsy yields some gorgeous handmade items available for purchase (just click on the photos to go directly to the shops)! that is such a nice cozy you made for the swap!! Previous Drink Me: Adagio Teas, Glow Cloud.